Cook bacon in a skillet over medium heat until crisp. Add onion to the pan and cook until tender. Add tomatoes, water, chili powder, salt and a dash of pepper. Cook 4 minutes. Add beans, stir, reduce heat to low and simmer 5 minutes longer or until heated through and very tasty. Store in the fridge for the week. This recipe was found in “Cooking Light” and tweaked a little. I highly recommend Cooking Light for inspiration because all of their recipes are packed with flavor and include nutrition facts so you can track what you are REALLY putting into your body! 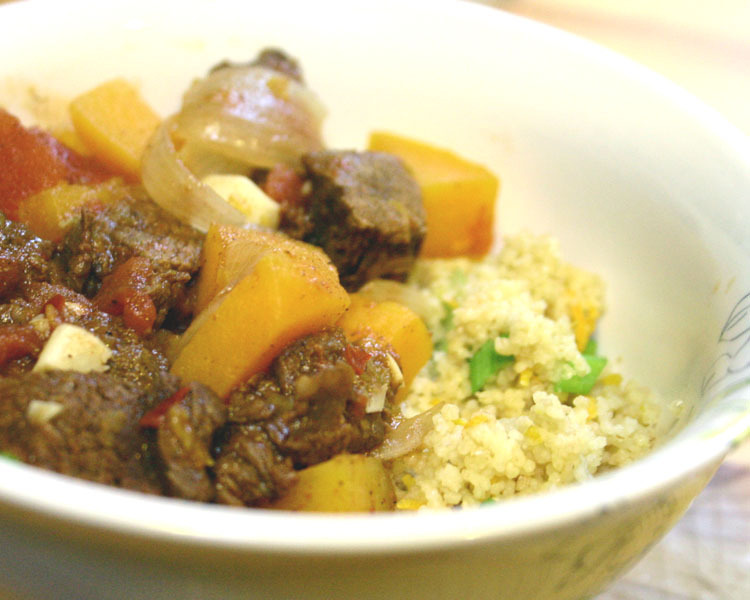 In a bowl, coat the beef cubes with the paprika, cinnamon, salt, ginger, and black pepper. Heat oil in a dutch oven over medium-high heat. Add beef and shallots; cook 4 minutes or until browned. Add garlic; cook 1 minute longer. Stir in broth and tomatoes; bring to a boil. Cook 5 minutes. Add squash, stir, cover, reduce heat to low and simmer 15-20 minutes or until squash is tender. Add more salt to taste. Store in the fridge for the week. This will make half of what you will need for the week. Make a new batch on Wednesday so it will be fresher for the end of the week. Bring zest, juice, broth and water to a boil in a medium saucepan. Stir in the couscous, remove from heat, cover and let stand 5 minutes. Fluff with a fork, toss with scallions and salt to taste. Store in the fridge for the first half of the week. 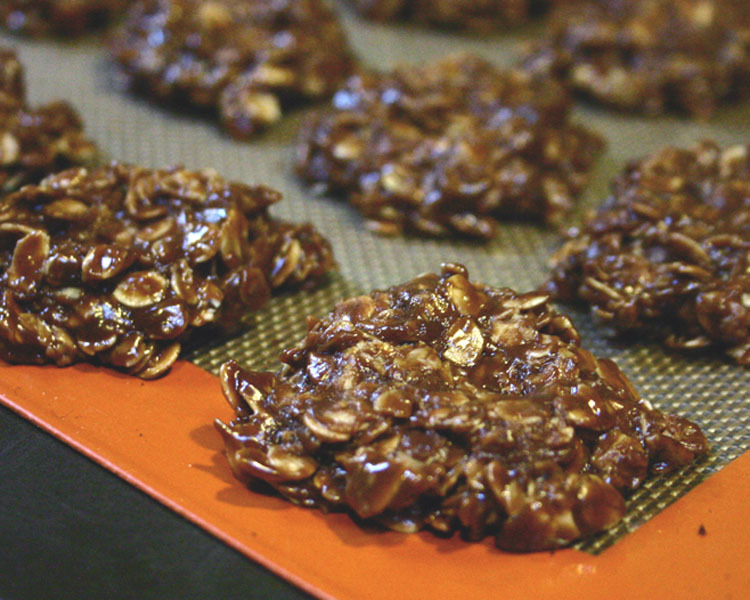 This is a classic retro cookie that actually isn’t so bad for you if you make 24 from this recipe and limit your serving size to 2 cookies. Each cookie is about 87 calories! Bring butter, milk, sugar and cocoa powder to a rolling boil in a saucepan and boil for 1 minute. Remove from heat, stir in peanut butter and vanilla until blended. Stir in oats. Using a small ice cream scoop or tablespoon, drop onto a cookie sheet covered with wax paper, a silpat or parchment. Let cool until firm; store in a tightly covered container. 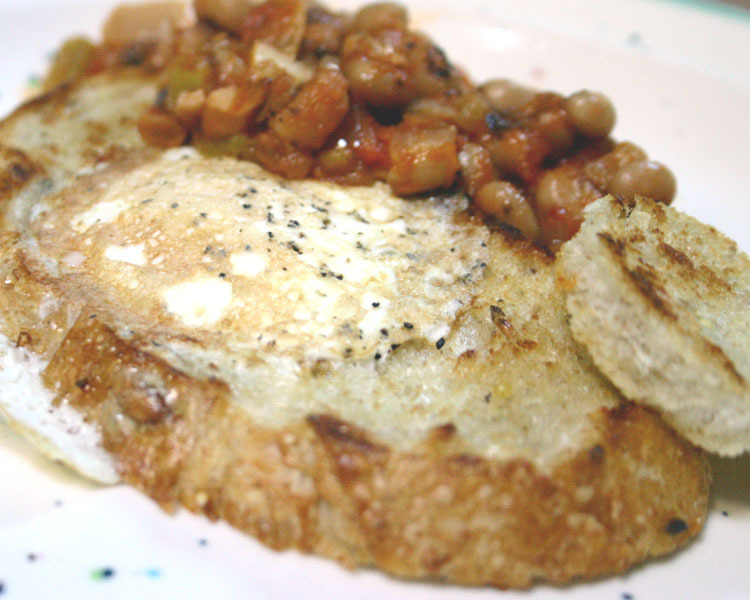 Reheat black eyed peas in the microwave or on the stove while you prep the eggs. Heat cooking spray or a small pat of butter in a nonstick pan over medium heat. Cut a hole in the middle of each slice of bread with a biscuit cutter or glass. Put both slices in the pan and nestle the left over circles on the outer edges of the bread to toast them. Crack each egg into the holes, salt and pepper and cook about 1 minute. Flip each slice and each circle over and cook about 1 minute longer or until whites are set but yolks are still runny. Serve with 1/2 cup black eyed peas. Divide reheated couscous and reheated beef between two bowls. Sprinkle with cilantro. Enjoy! 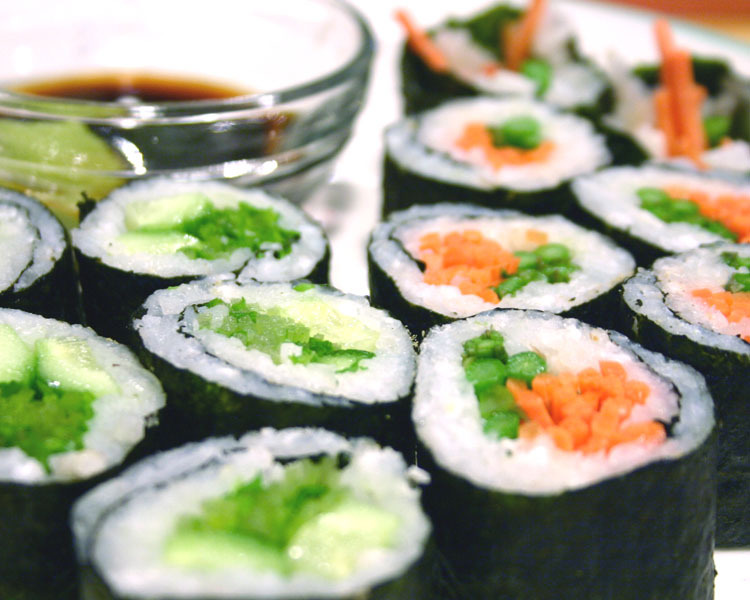 If you’ve never made sushi before, grab a book and learn! Once you have the basics down, you’ll want to make it yourself all the time. I make veggie sushi because I’m allergic to seafood, but you can use these techniques for any kind you want! Rinse rice in cold water until the water runs clear (this is really important, so keep washing it even if it seems to take forever!). Put rice and water in a pot and bring to a boil. Reduce heat to low, cover and cook 20 minutes. While the rice cooks, boil water in another pot, add the asparagus, boil for 20 seconds, remove, dip into cold water to stop the cooking process and set aside. In a small bowl, stir the vinegar, sugar and salt together until dissolved. When your rice is cooked, transfer it to a large wooden bowl (alternatively you could use a wooden tray or wide ceramic bowl) and spread it out in a thin layer to begin the seasoning process. Sprinkle with the vinegar mixture and let sit for 10 seconds. Using a bamboo paddle or wide wooden spoon, cut through the rice using a chopping motion rather than stirring it to incorporate the seasoning. Spread the rice out again in a thin layer and gently turn over portions to allow the steam to escape, as if you are flipping pancakes. Fan the rice with your other hand or a magazine to move the steam aside. Continue this motion with the rice for about 3-5 minutes or until no steam is coming off of it. Cover with a damp towel or until ready to use. Form your sushi. Lay a sheet of nori on a bamboo rolling mat. Spread 1/4 of the rice on the sheet, leaving the top and bottom edge of the nori clear. Lay 1/4 of your veggies down the center of the rice and using the mat and gentle pressure, roll into a tight roll. Lay seam side down on a plate and repeat 3 more times. By the time you finish all four rolls, the seams will have completely fused on the seaweed and you can slice the rolls. Use a sharp knife and clean your knife between cuts so it doesn’t start to stick. Serve with wasabi and soy sauce!